In this brief tutorial we'll run through the process of preparing and uploading your artwork to the 3dtotal galleries. Uploading your artwork on 3dtotal is a great way to showcase your talents, gain valuable feedback from other CG artists, be considered for a 3dtotal staff pick award and participate in the numerous competitions we run for artists. The old submission practice is gone - everything you upload will automatically be seen, no need to contact us separately. Before you can upload artwork you need to sign up, the process is simple, free and just takes a couple of minutes. Once you've signed up you'll be able to upload artwork from your profile page. Whenever you're signed in you can visit your profile page by clicking on your picture / name which appears top right on all pages. When viewing your profile page you'll see the upload button, clicking on the button will open a menu allowing you to choose the type of upload you want to create to showcase your artwork. Lets cover the different types of upload briefly so it's clear what each of them offers. Upload up to 6 related images. Showcase a video you've uploaded to YouTube or Vimeo. You'll need to provide a preview/cover image for your video. Provide additional insight by uploading your artwork in different stages or states, each image must be the same size and show the same view. A 20:20 image requires at least 2 images and supports up to 4. Here's an example of a 20:20 image being used to great effect. You'll need to provide a preview/cover image for your 20:20. Parallax images add the illusion of depth to your artwork and offer users a new way to explore a scene. A parallax image consists of at least 2 and up to 6 stacked images that move as a user moves the mouse cursor or their finger over the scene. It takes more time and patience to create a parallax image as you'll need to configure the position and movement settings for each layer but the results can be stunning. Click here for a guide to uploading a parallax image. You'll need to provide a preview/cover image for your parallax scene. Showcase a 3d model you've uploaded to SketchFab. You'll need to provide a preview/cover image for your 3d model. We want you're artwork to look stunning and so we've put together a list of recommendations for preparing your artwork for 3dtotal. Don't compress your images before uploading them. If you're uploading a JPEG keep the quality setting at 100%. After an image is uploaded we generate all the versions needed to display it on the website including optimising and compressing your images for the web. We recommend uploading images 1920px wide or greater, and no smaller than 944px x 752px. Keep in mind the maximum image file size we allow is 20mb. Use the slideshow to show related images. 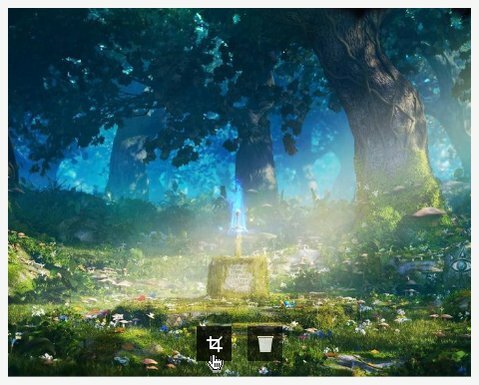 Only the first image in a slideshow is displayed in the gallery listings (unless you mouse over the card), and so if you upload a set of unrelated images it's harder for other users to discover your work. Make the first slide in a slideshow the most appealing, as it's the one that will appear by default in the gallery listings. 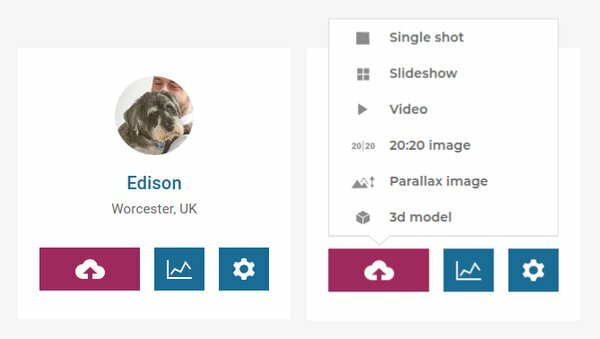 To change the order of your slides while uploading your images simply click on an image in the upload area and drag it to a new position. Remember to set the crop for your images once you upload them. The site displays a cropped preview of your images initially, allowing users to quickly discover what they're interested in before opting to view in full. Setting a good crop is crucial if you want to entice other users to view your work. You can set the crop for an image using the crop button that appears bottom/center when you upload an image. Preview before you save. Once you save your upload you wont be able to change your images so it's important to preview when uploading shots, slideshows, 20:20s and in particular parallax images. The behaviour of a parallax image is configured in the preview pop-up so it's essential to use the preview button when uploading parallax images. The preview button is positioned next to the save button. Keep the images used for 20:20 and parallax uploads to 1920px by 1280px. These upload types can be interacted with by users and therefore look and work best when they fit in a browser window with minimal scaling.